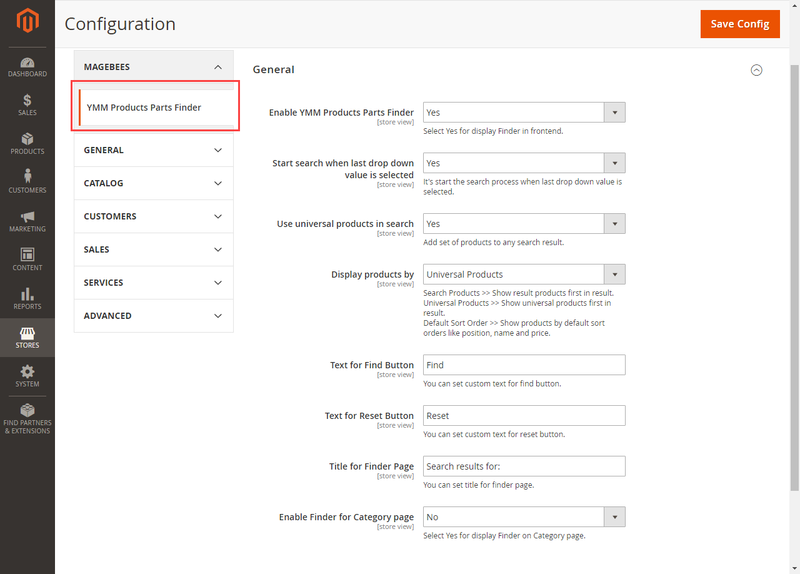 Create unlimited finders for search products from large products database. 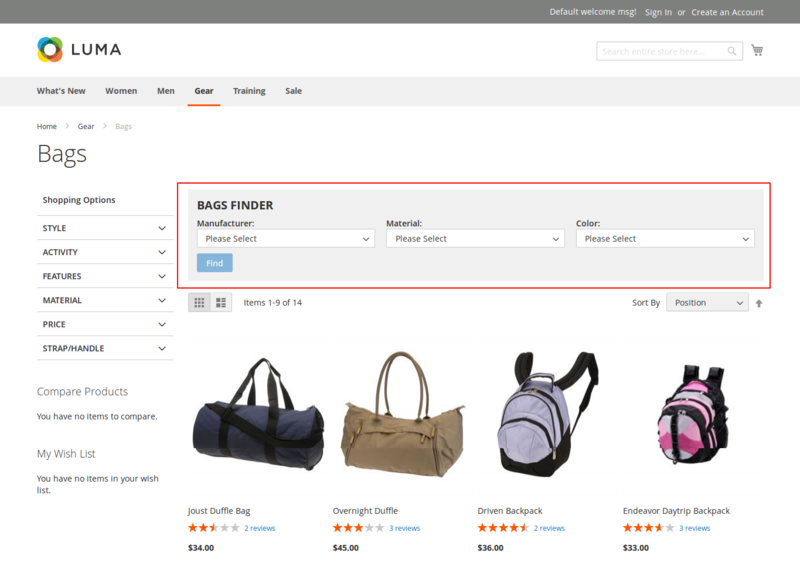 Create finders for a particular category or all categories of products. 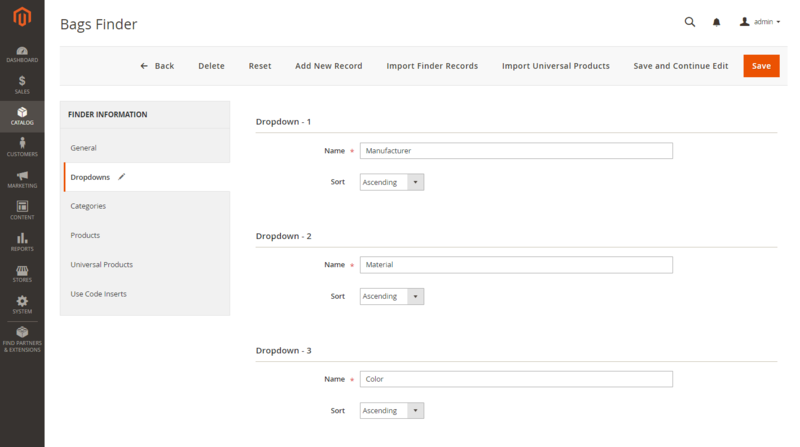 Product data management is made easy with manual creation and import/export of products. Show multiple custom finders on same page. The extension will display products after applying filters. SEO-friendly URLs for the search result page. Display list of products with layered navigation and toolbar. Display universal products in search results. You can display finder in any page using template tag code, XML code and call via front-end template file. More commonly known as “Year Make Model Finder”, the Magento 2 product parts finder allows your customers to seek exactly what they are looking for! Whether you sell electronic parts, car and auto parts, clothing and apparel or any other product, this module is the answer to all eCommerce stores! 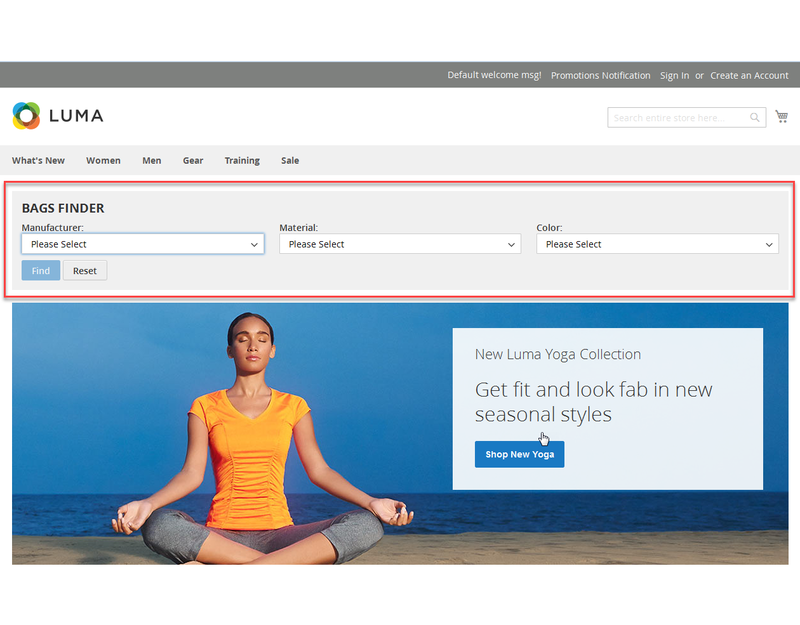 Make your website the go-to store for buyers by providing them easy-to-use product finder. 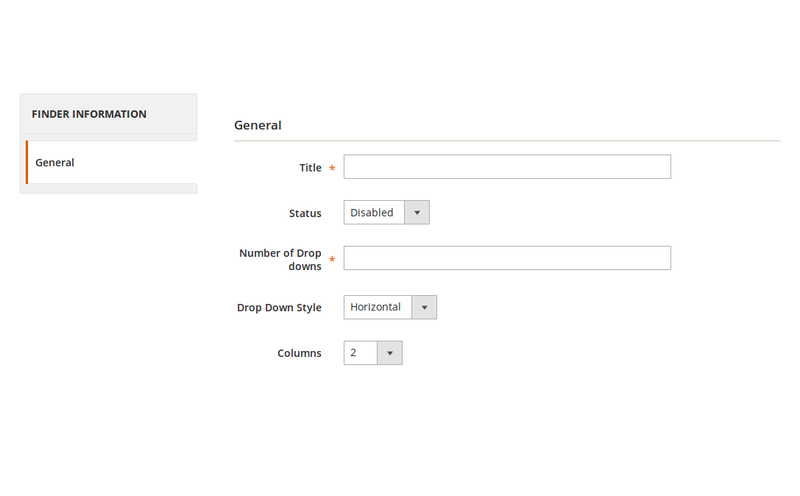 The plugin makes creation of custom fields and multiple filters easy. 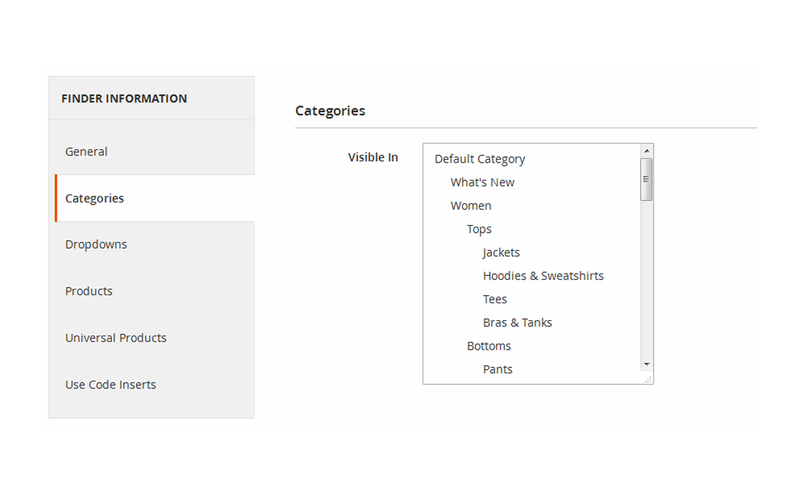 What Type of Custom Product Filters can you create? The Magento 2 product parts finder extension is perfect for web stores that sell vehicle parts including bikes, cars and boats. 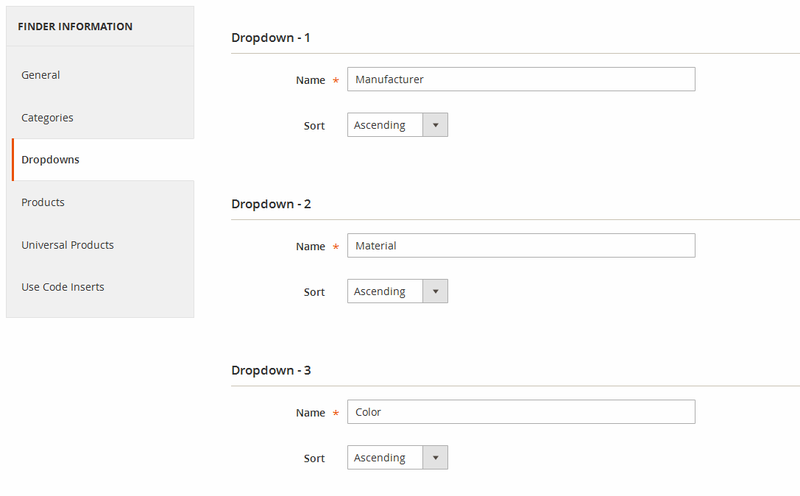 You can create search drop-downs such as Year, Make, Model, Engine, etc. and help your buyers find products easily. Any store that has a wide range of products can benefit from the extension. For example, if you are a printer parts supplier, you can have customized drop-down filters such as Printer Brand, Printer Series, Model, etc. for searching the exact products. Sellers of tires and wheels can use the module. If you are a clothing store, you can use it as well. In short, if you are willing to give your customers ease of shopping and increase sales in the process, the parts finder is the extension for you. Finder Manager allows you to create custom search filters. It can be placed on any CMS and category pages. Here, we can specify number of drop downs for finder and also finder layout. You can manage finder status here. If you want to setup finder based on category, then you can select category so the finder will display products accordingly. Specify drop-down details such as name and sort order. You can add finder option values and link for product by filling this information. 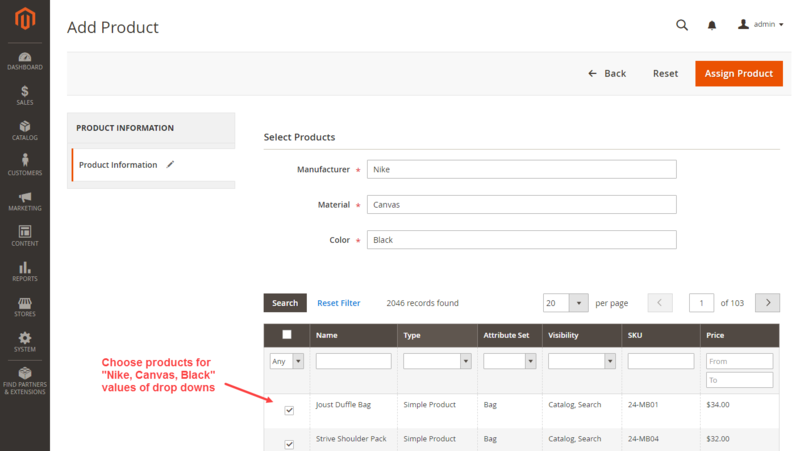 You can import values for selection options of product finders and link them to appropriate products. Our finder can handle large volume of import data. If you have products which you want to display in the search result, irrespective of filter search, then you can add universal products and they will show up in every result. MageBees did a Great Job! I have a business of selling printer parts. And, this extension has been such a boon for my customers. They can use the filters and find the specific product easily. The module was very simple to install and I could quickly change the attributes according to my store. And, guess what? I have started getting more orders now that buyers can easily find products without having to contact customer support every now and then. Extraordinary support by MageBees and an exceptionally valuable extension for our eCommerce store. Owning and dealing with an automobile store is made simple with Product Parts Finder extension and furthermore lessens the endeavors of the customers in finding their products speedier. Exceptionally suggested! This extension is really good and worked perfectly as described in documentation and also very good customer support service , they also helped me to solve some issues. I am very happy that I chose this extension over others available in market & I will buy another extension from Magebees soon. After I purchased the part finder, my coder installed it, and modified it according to my wishes. But we got stuck one some parts after we have modified it. Every time we had a question this company came with a solution in very short time after we have asked something. With the last issue we had, we got stuck with our hand in our hair. Magebees came with a answer and solution and fix within 2 hours. Great service!!. Throughout the years I have learned that service is one of the most important things in business. These guys understand it!! Keep up the good work! I have auto parts site from many years and I have used other Year Make Model extension this is the best because it also provide the feature to setup Year Make Model category wise and also easy to setup and loading is fast. This extension is exactly what needed worked perfect with out any bugs and very fast! Awesome customer service, Install directions where very detailed and helpful. Import YMM Products Using Ajax. Bug Fixes In Import YMM Products. Add Sku Chooser for set manually assign products into finder. 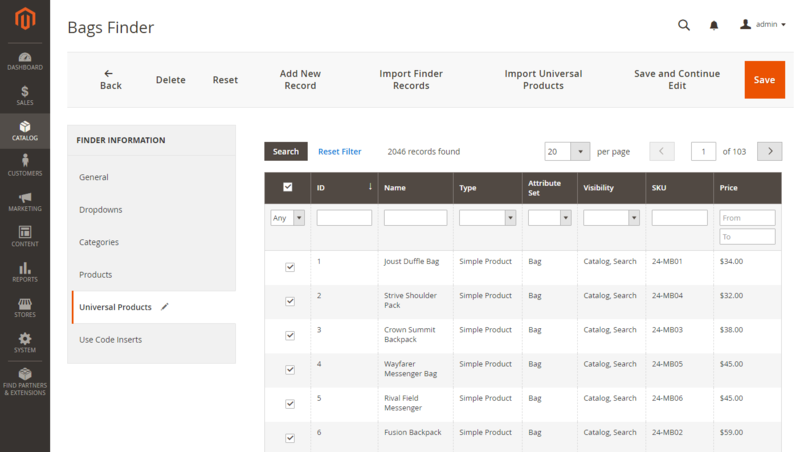 Improved import products speed into finder. SEO friendly urls for search result page. 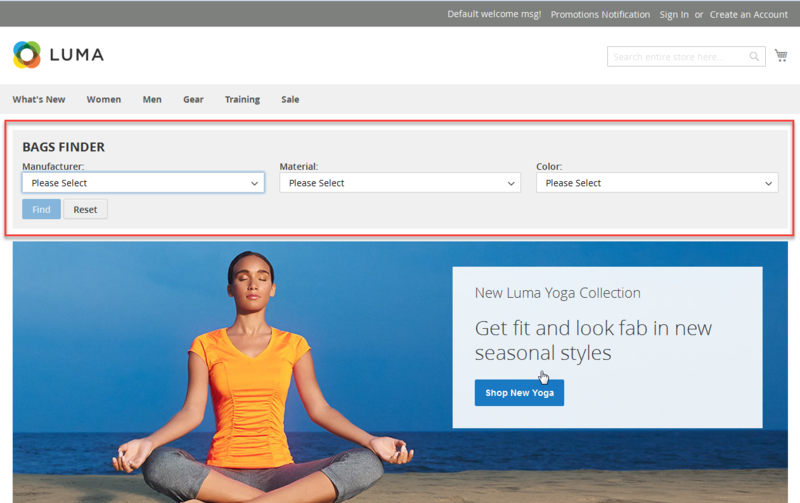 Make Search result page with magento features like tool bar,pagination etc.. 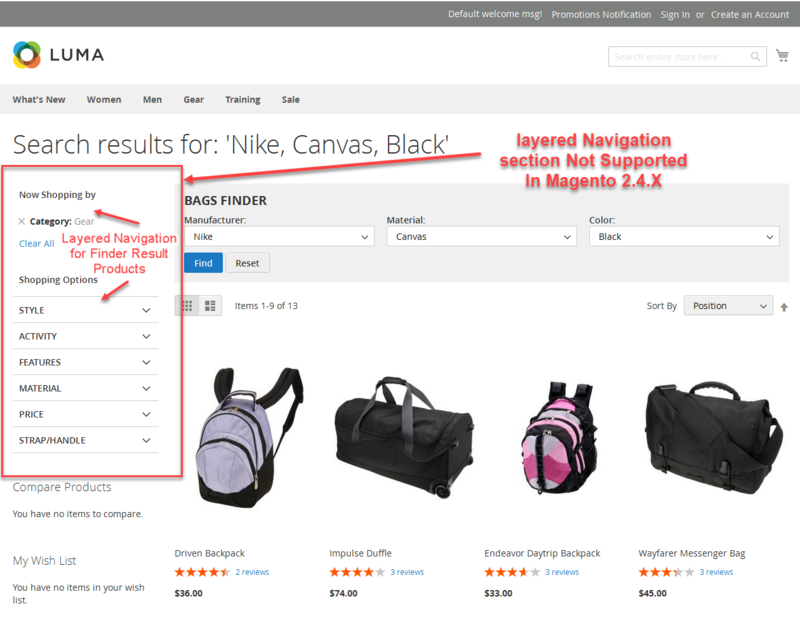 Display layered navigation on search result page. Enable / Disable auto search when last drop down option is selected. Q-1: I have Installed YMM Products Parts Finder Extension. I got following error. “There has been an error processing your request”. “Please upgrade your database: Run bin/magento setup:upgrade”. Q-2: Finder not display on category page. Ans : Please check product finder category and its products category. If product category and finder category are not same then finder will be not display on category page. Finder does not content result product associate with that category then finder will not display. Q-3: I am getting error in console for cwsfinder.js not found, How to solve this problem?